In conversation with Mrs Rheam Nasr, Clinical Dietician, Gulf Diabetes Specialist Center, Salmanniya. Today we live in a world, where our lifestyle plays an important role in determining the span of our lives. With the increasing pace of the life we live in, we are shifting our eating habits and daily activities towards faster and more processed foods, as well as less physically active lifestyles.. Giving the right guidance to healthier living is Mrs. Rheam Nasr, Clinical Dietician at the Gulf Diabetes Specialist Center (GDSC), Salmanniya. 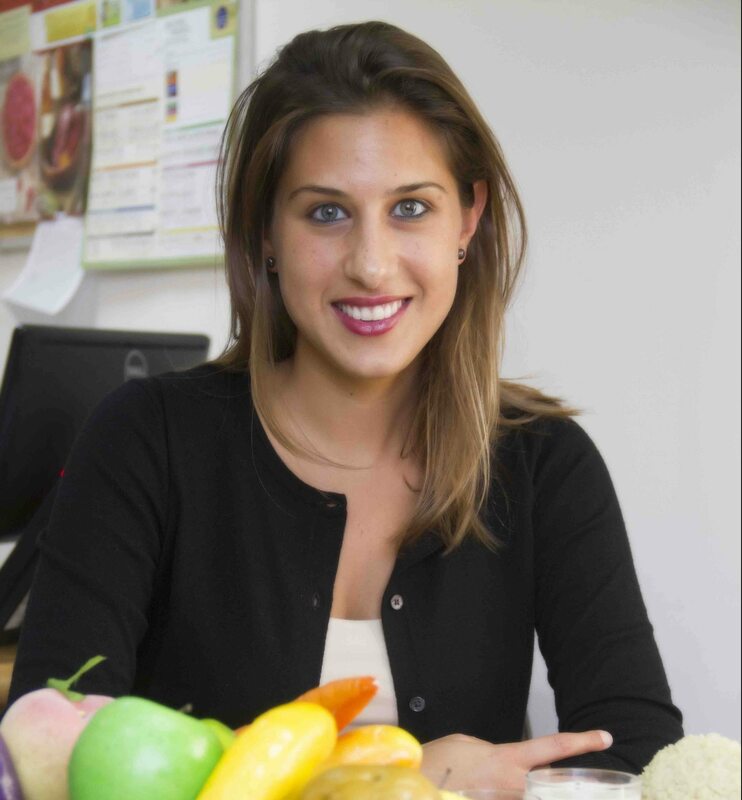 An expert in nutrition & health, food products and food safety, she coaches her clients create their own individual weight and health goals and tailors nutrition plan based on their individual needs and food preferences. Following are excerpts from the conversation BTW had with Mrs Rheam. When did you move to Bahrain and became part of GDSC? I moved to Bahrain about a year ago and joined GDSC shortly after in May of 2014. So I have been here for about 9 months now. What got you interested in being a dietitian/nutritionist? What made you decide to pursue a career in this field? I have always been interested in food and nutrition – what happens when food enters our body and how the food we eat affects our weight our risk for developing certain health problems .. I am also very interested in Public Health and helping people so I decided to do my Masters degree in Public Health after completing my undergraduate degree.. As a practicing Dietitian, I am given the opportunity to help people make the right decisions about the foods they eat, either to help them prevent diseases or to manage them with right diet. Unforgettable experience you would like to share with us working on food security and micro-nutrient deficiency programs in different parts of the world. The experience working in developing countries has been very different from that of Bahrain. Before I moved here I worked on several nutrition programs with populations that are at nutritional risks. I did some work in Lebanon with Syrian refugees and other displaced communities. I also had the opportunity to work with an NGO in Somali refugee camps in Southern Ethiopia where there were about 200,000 Somali refugees who were displaced from their home and left with very little to live on. There was a very high rate of malnutrition and micro nutrient deficiencies in this population, especially among women and children. The malnutrition rates were over 40% and more than 25% of the kids where undernourished. We set up feeding programs, micronutrient supplementation programs, and educational programs on maternal health and child feeding. That was a life-changing experience for me – I saw how poverty and displacement can lead to malnutrition – a major public health concern, whereas in this part of the world the main problem is the opposite where we face public health issues due to the over consumption of food. So it’s like two entirely different faces of nutritional problems that I have been involved in. It gives me a totally different outlook into what I have chosen as my career. What would be the most common problem with which patients have walked into your clinic here in GDSC? Are Crash Diets worth trying? There is a difference between a quick weight loss and a healthy weight loss. If its pure short-term weight loss you are looking for then any of the crash diets could work. But it will never be the healthy or the sustainable way to lose weight. In most cases, you won’t be losing the “right” weight when it’s a quick fix with a crash diet – a lot of it will be water weight. Choosing a healthy lifestyle based on balanced meals and healthy food choices that is completely do-able and sustainable is what I advocate – you want to lose the weight and keep it off, not gain it back shortly after. It’s about cutting down portions, choosing nutrient-dense vs. calorie-dense choices and focusing on wholesome foods. Basically feeding your body what is right in combination with exercise. I suggest combination exercises to my patients depending on what activites they enjoy. This is to ensure they will continue doing it for good. Most of my clients don’t feel like they are on a “diet”, but instead they are on a “lifestyle change”. What areas of medical nutrition therapy interest you the most? I like working with pregnant and lactating women and children, as I have a lot of experience in maternal and child health. Obesity management and working with patients who have weight loss surgeries is also one of my specialties. I am also very interested in meal planning for diabetics and its related complications, such as kidney diseases, heart diseases, high cholesterol levels and high blood pressure. Food allergies and intolerances is another area that has fascinated me, especially that there are so many misconceptions about food intolerances, and a lot of people are misdiagnosing themselves with intolerances and avoiding certain foods or food groups, when it is not the real problem. Finally, sports nutrition is also a really exciting field to work in. What would be your Message for our readers? My advice is to develop a healthy relationship with food and learn to enjoy healthy, wholesome foods. This is the best thing you can do for your body and your health – eat clean, stay fit and be happy. To book an appointment with Mrs. Rheam Nasr, call the Gulf Diabetes Specialist Center at +97317239206/239/230.